Nancy Green Cook Marsh, age 86, of Seaford, DE passed away on Wednesday, July 11, 2018. Nancy Graduated from Liberty High School in Bethlehem, PA in 1950, Bucknell University in Lewisburg, PA in 1954 with degrees in Psychology and Sociology. She was a member of Mt. Olivet United Methodist Church since 1956. 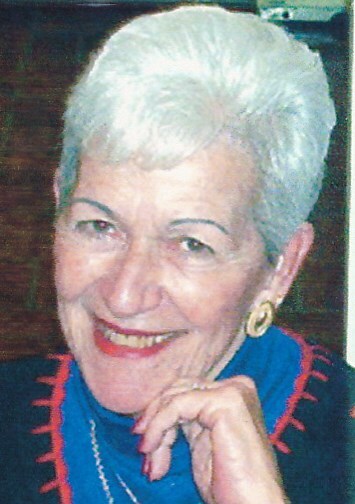 She was in the church choir since 1956, a past trustee 3 times, past president of the United Methodist Women 3 times, past member of the Pastor-Parish Relations Committee 2 times, past president of AAUW (American Association of University Women), PEO Charter Member of Sisterhood Chapter J and Past Treasurer, past president of Nanticoke Memorial Hospital Auxiliary, and she was a Foundation Award recipient from Nanticoke Memorial Hospital in 2017. Nancy’s husband, Elwood A. Cook Jr died in 1992. She is survived by a son, David P. Cook, 2 daughters, Linda C. Vincent and Meg C. Cook, grandchildren, Ashley Vincent McTeer, James E. Cook, David P. Cook Jr, Mallory N. Lankford, Matthew E. Lankford and 2 great-grandchildren, Aubrey McTeer and Edie Lankford. Memorial Services will be on Tuesday, July 17th at 1 PM at Mt. Olivet United Methodist Church, 315 High St, Seaford, where friends may call from 12 to 1. In lieu of flowers the family suggests donations may be made to Mt. Olivet United Methodist Church, 315 High St, Seaford, DE 19973 or Nanticoke Memorial Hospital Foundation, 801 Middleford Rd, Seaford, DE 19973.